If you are on a budget, the best choice for a jewelry booth display backdrop would be a PVC pipe because it is easy to assemble and transport and fairly inexpensive. Cut PVC to desired length and put together as shown in diagram. Then slip shear curtains on and add a drape across the top. Now, place your necklace display stands, earring holders and other displays on the table. You can also hang your company's sign or logo on the top. Categories: earring display, Jewelry Booth, jewelry display, jewelry displays, Make your own backdrop, necklace display, Nile Corp. Beautifully displayed jewelry is only one secret to effectively selling jewelry. These days it is also a combination of factors that will help store owners make a sale in the jewelry business. 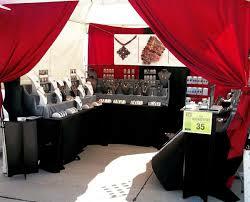 Below are some helpful tips to get your jewelry business to its full selling potential. It's very important to have great customer service. A smile and warm welcome will make shoppers feel at ease while browsing through your inventory. Whether you own a store or a small booth, customer service is just as important for both environments. Keep your displays interesting by mixing materials of displays and utilizing your display space with multiple level displays. 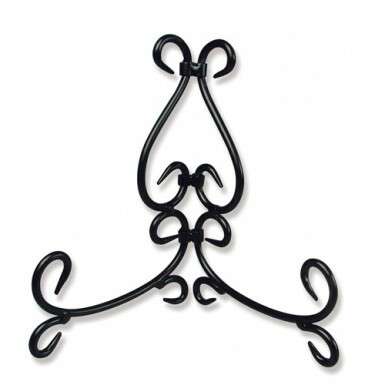 Place necklace display stands toward the back and don't forget about wall space. Wall space is an excellent way to make necklaces and earrings pop. Many articles of jewelry have sparkle that can not be easily detected via the internet due to lack of quality in photography. One solution is to make panoramic videos so that the customer can visualize the item of jewelry from a real life perspective. Optimize your keywords such as colors, and stone cuts. Selling jewelry online requires sellers to utilize search tools to help consumers find their products via the world wide web. Looking presentable is what everyone aspires to look when dressing up. Be it a formal or casual event, we are expected to dress up to the occasion. It does not have to be designer or branded clothes all the time. You can get great looking clothes at affordable prices. You can rely on your jewelry collection to jazz up your otherwise plain looking outfit. 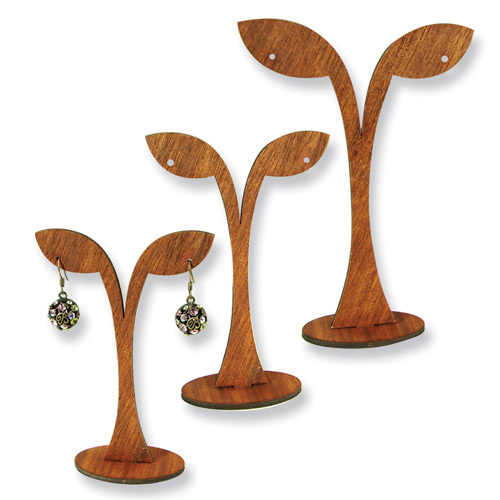 A quick glance at your earring display stand in the closet would surely give you the idea on which earring to wear. Evening wear is something that we wear for special occasions. The great thing about it is that there are a lot of choices for this kind of clothes. You need not spend a lot of money just to get a great dress that will fit you perfectly. It is a fact that this kind of outfit calls for major accessorizing. An evening wear would not be complete if you do not have jewelry to adorn you. Any pair of earrings from your earring display would surely match the dress that you are wearing. The most obvious choice for jewelry to use with an evening wear is a pair of earrings. One can forego of wearing a necklace or bracelet but never the earrings. The reason for this is that it helps in directing the gaze of the people looking at you towards your face and not some other part of your body. Especially if the pair that you are wearing is stunning, people will easily notice it. Earrings made of gold or silver cannot go wrong with any evening outfit. It just depends on the color and cut of the dress as to what you should choose between the two. White flowing dress – A chandelier earrings set in gold would go great for this outfit. The shiny gold sheen of the pair dangling from your earlobes would stand out beautifully against the pristine color of your dress. Red dress that hugs the body – A long gold chain that reaches your shoulders would set off this gorgeous outfit. You would surely be a head-turner in any party that you would be attending if you get this ensemble. Black dress – The little black dress should be a staple outfit in any woman’s wardrobe. This is one kind of dress that all women should have as it can be a go-to outfit no matter what the occasion may be. Silver earrings are best paired with this because of the contrast that it creates against the black backdrop of the canvass that is the dress. Dark Blue outfit – Just like the black dress, a dark blue dress would provide a contrast against the color of the silver earrings. It will make the jewelry stand out and make people notice it. These are just some of the more common colors that women chose when picking out evening outfits. It is best to go out wearing plain colors when the occasion calls on the attendees to go on formal wear. Be it silver or gold, one should not regret purchasing a pair of earrings because it is one of the best purchases that you would make. 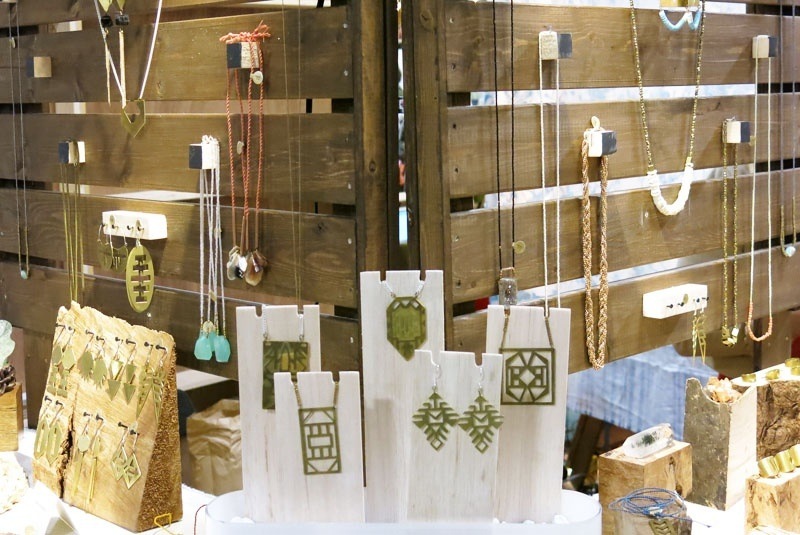 For a small jewelry booth idea you can use a small table and spray-painted wood boards with fabric pinned over them. You can pin necklaces, bracelets, and earrings using pins on the jewelry display board. 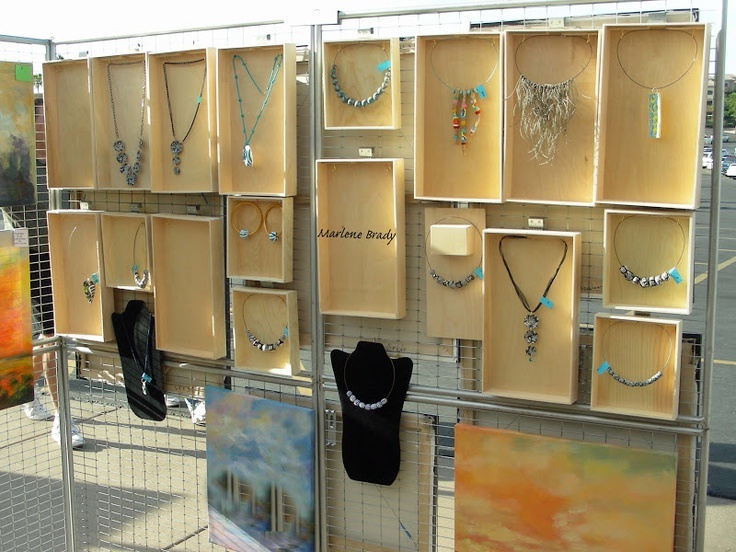 You can also hang wooden trays and hang jewelry from inside the trays like Marlene Brady. 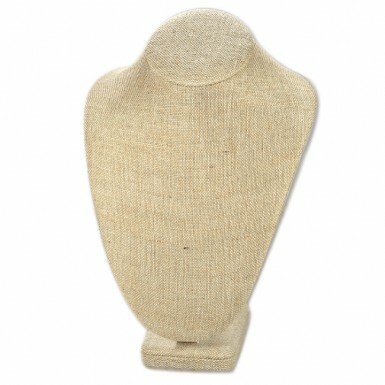 On the tabletop, necklaces, bracelets, and earrings can be displayed with linen earring displays for an earthy look. You can also add hand/finger displays for a touch of elegance while still keeping your small space organized. Think vertically, when you have a tiny booth to display your jewelry every inch of space counts. 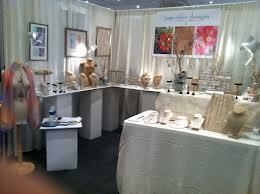 We recommend faux suede, wood displays, or linen displays for the best materials to use at a trade show or convention. It will let your jewelry take center stage and not be drowned in the display. Be creative and let your inner artistic abilities shine through your booth and creative layout. A well organized jewelry store is visually pleasing for customers. It makes shoppers feel welcome and encourages them to shop more. With high traffic and constant trying on, sometimes it can be difficult to keep your store front organized. To keep your jewelry displays interesting change up the look and feel consistently to entice customers and make them think that there is always something new. 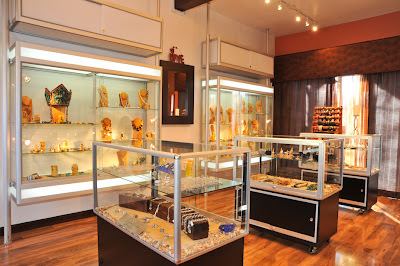 Keep more expensive items in glass jewelry display cases to have staff personal access them. Use multiple level jewelry displays for an ascending level look; Store long necklaces in the back, bracelets in the center, and rings toward the front of your counter space. Optimize wall space with wall displays to hang necklaces and other jewelry. Change the theme of your displays with themes, textures, jewelry display fabrics, sizes, and display positions. 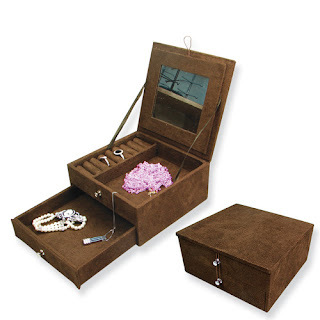 As with any jewelry you should keep pearls, gemstones and precious metals in a well crafted jewelry box or jewelry pouch. Items should be separated to avoid scratching as well as contamination and tangling. A jewelry display box should offer enough compartments to allow precious pieces to be stored individually. The box should also contain a soft lining which will prevent scratching. Jewelry needs to be kept in a dry location with low humidity. Humid and damp conditions will cause tarnish in silver and problems with other precious metals. Also consider the security and accessibility of the location you choose. Your two main priorities when storing your gold and silver are to avoid tarnishing/dulling and avoid scratching. To avoid tarnishing you will need to reduce the amount of moisture in the air. Store each piece of jewelry in a separate cotton or jewelry bag. The bag needs to be able to breathe, if the bag is air tight it may sweat which will cause tarnish. Good quality Jewelry bags and Paper Twine Necklace Display are usually treated with chemicals that reduce tarnish. A good quality jewelry bag will save you a lot of trouble in the long run. The pieces should be stored individually, if stored together the pieces will scratch each other. If available place a moisture absorbing product inside your jewelry box. White chalk, charcoal or silica gel will absorb the moisture which causes tarnish. Diamonds are the hardest gemstone in the world. They are perfect for scratching other types of jewelry so once again keep the jewelry store in individual compartments. Diamonds are usually set in either silver or gold so you simply need to follow the instructions above. Softer gemstones scratch easily, other types of gemstones crack and certain gemstones can also be damaged changes in heat. 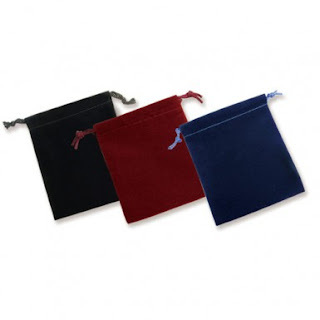 Store your gemstones in individual bags and keep them in an area with relatively stable temperatures. Certain porous gemstones like Emerald should not become too dry or they may in fact crack. For this reason these gemstones should be re-oiled every year or so depending upon your climate. If you are looking for a special gift to a special someone, the first thing that comes to mind is usually a piece of jewelry or trinket. Women appreciate jewelry better than gadgets and other gizmos. The reason for this is because women see and appreciate the effort extended in purchasing the particular piece of jewelry. Giving earrings to your loved one is a gallant act to do and there are many choices from the various earring display stands lined up in the jewelry store. For sure, there would be at least one pair that will make you think that it is the best gift for her. On the other hand, there are women who do not sit and wait for their men to go out and buy them a piece or two. These are the clever women who see jewelry as a great investment piece similar to buying a house or a car. Women see jewelry as an investment that they can enjoy while making sure that they are going to turn it into profit when the time comes that it needs to be liquidated. So it is not uncommon to see women having a lot of earring display stands filled with pairs of earrings, some of which have not been worn at all. Make sure that what you get is the real deal – Only go to reputable jewelry stores and shops because you can never be too sure with the others. These kinds of stores have a reputation and a brand name to take care of so duping the customers in making them think that they are buying real jewelry is the last thing on their minds. Go for those that have stones set into the precious metal – Diamond studs and ruby chandelier earrings are great items that can be purchased as an investment. Jewelry that is set with precious stones can fetch a higher selling price than those plain looking ones. It will not be hard for you to liquidate it as people are easily attracted to these kinds of jewelry. Think of the future when buying earrings – Whether or not you will be using it, the best thing to consider is the viability of the item. Will it be easy to sell when the time comes that you already need the money? If the answer to this question is yes, then it is worth spending your money. When buying diamond earrings, make sure that you know your for C’s. – Diamonds are one of the famous stones that make it to the earring display on the window merchandise. It does attract buyers right away but if you have no experience, read up on it or better yet, bring someone along that knows about it when you are going shopping. Whether it be plain, studded with precious stones or hanging a meter from you ear, earrings are truly one of the easiest things to buy as they are quite affordable. However, you must choose well especially if you meant for it to become a heirloom piece or an investment in your future. Choosing well is the key to getting the most out of your investment. Are you tired of losing jewelry or spending time untangling your favorite earrings and necklaces? When jewelry is properly organized and stored away these problems can be forgotten. Nile Corp.'s selection of jewelry displays and organizers is the perfect solution to beautiful store and display your collection of necklaces, rings, bracelets, and more. Below are some helpful ideas for displaying your jewelry. 1. Group similar pieces together to form a luxurious feel. Group together black jewelry, white jewelry, and pearls. 2. Add your jewelry displays to a table. A nicely decorated tabletop with fun, colorful jewelry on display is the perfect finishing touch. 3. Dedicate a wall to displaying your necklaces. Use our simple hooks or wall mounts to achieve this look. 4. 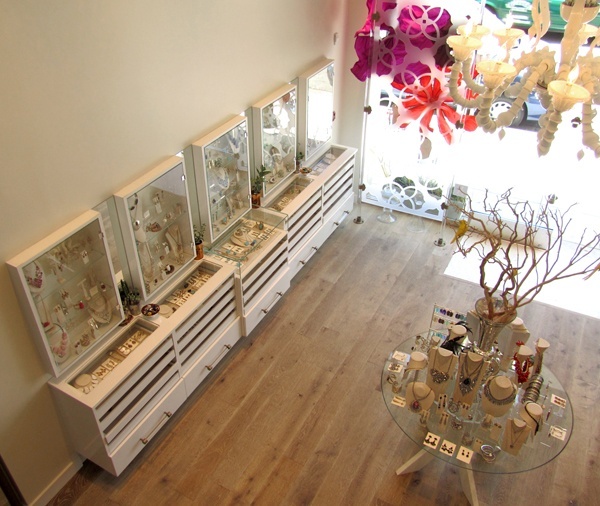 Just like your favorite jewelry boutique, you can use a earring display cases. 5. Hand molds are awesome for displaying rings, bracelets, and necklaces. With a little creativity and inspiration you can turn your jewelry collection into a magnificently displayed work of art.